A Spoonful of Sugar | Y'all Behave! 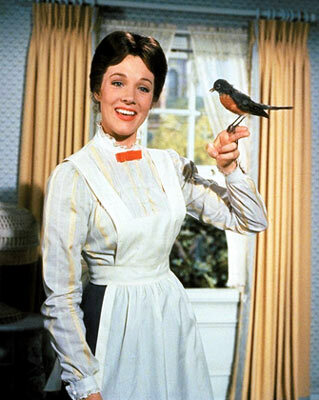 We all recall the scene in Mary Poppins in which Julie Andrews helps the children tidy up the nursery. With a crisp snap of her fingers, the children’s clothes fly into the closet, their toys onto shelves. It’s AWESOME. But even though I will lay claim to such magical abilities as potty-training a child over the weekend (while his parents are out of town), getting veggies into the bellies of the most adamant verde-haters, and making nappers out of naysayers, I do not profess to have Mary’s mystical abilities. Instead I employ my own version of “Spoonful of Sugar” (better suited to those of us without lightning bolt scars on our foreheads) that transforms otherwise mundane tasks into flights of fancy. For example, when I have Doc (3) and Rebel (1) we have “Laundry Parties”. Once I unload the clothes from the dryer into the laundry basket, Doc scoots the basket into the parents’ bedroom and hops onto the bed, where I proceed to dump the warm clothes onto him so that he can giggle and burrow his way out. Now where is Rebel all this time? Why, waiting by my legs for the empty basket of course! Once emptied, I pop the basket on the floor so that Rebel can turn it into a car, a boat, a rocket ship—whatever his little baby heart imagines! Then Doc and I set to work: I, folding and separating the clothes, he on the sock matching game I set up on the window sill. Presto Change-o! You have two happy children, one less household task for mom and dad, and a singularly spellbinding nanny. Now on this last task, I make sure to clarify, “Big Cat, don’t Amelia Bedelia me on number 3. That DOES NOT mean find four maids and clean them, it means clean up your room for the maids.” This gets a chuckle, and he can’t wait to get to number 3. Abracadabra!